Community banks have dodged some of the hits that have left big retail banks heavily bruised in past months. But the aftermath of the credit crunch and real estate slump that has led some world financial markets to the verge of collapse could catch up with local institutions unless market conditions begin to improve. Officials of such South Florida community banks as Coconut Grove Bank, TotalBank and U.S. Century Bank say that while their institutions remain stable, they are closely monitoring all developments as growing consumer uncertainty and a rising unemployment rate could damage local banking. Coconut Grove Bank’s 82-year history is of comfort to many customers. The bank, founded in 1926, has survived five recessions, operating through the stock market crash of 1929, the Great Depression that followed, and reopening after the 1933 bank holiday, said Chairman Charles Schuette, adding he is conveying that message to the community. He said public panic worsens a financial crisis. He suggests borrowers who are struggling should approach their bank and ask for assistance. The bank has tightened its loan criteria and is closely scrutinizing loans that may start to wobble, Mr. Schuette said. "The bank will react more preferably if borrowers step forward first and say we have a problem," he said, highlighting that at times like these, communication with customers is key. For TotalBank, having a parent company considered the third-largest banking group in Spain, Banco Popular Español, keeps it confident. Since the Spanish institution acquired TotalBank for $300 million last year, it has injected a $100 million line of credit for liquidity and $58 million in regulatory capital, said Bill Heffernan, TotalBank president and CEO. Counting on the ownership by an extremely well-capitalized bank brings a lot of comfort to customers because they know the bank has a solid financial backing, he said. South Florida’s strong position as a hub for international banking has helped some local and regional banks weather the storm, he said. Banco Popular’s ability to support TotalBank remains strong. "It’s good for our local market and customers," Mr. Heffernan said. "It gives us a unique spot in the (local financial) market." 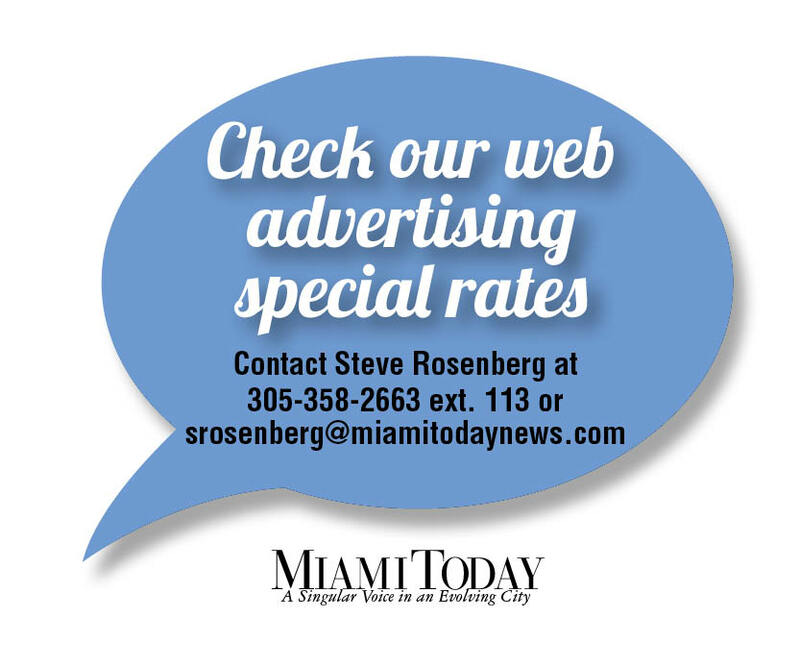 The Miami-based bank, with more than 30 years of service, has also shifted the types of loans it makes, cutting back on construction and development loans and directing its attention to export and import financing and international receivables, Mr. Heffernan said. Some officials agree it’s important for bank principals to inform their employees of the bank’s status and stay tuned to what’s happening worldwide so they can better inform customers and keep their money and investments safe. TotalBank’s employees are instructed to keep the line of communication with depositors and clients open, informing them about the bank’s capital structure and strengths. A marketing campaign is also under way to inform customers of the institution’s strengths and liquidity of the bank. "People are worried about their return of their money," he said. The Federal Deposit Insurance Corp. has raised the coverage limit to $250,000 per depositor, insuring a person’s deposit accounts such as checking, savings, money markets and certificate of deposit accounts up to $250,000 per bank. It also added a supplemental program that guarantees all deposits above that sum in accounts that don’t pay interest, which basically covers small business accounts. This could benefit small business clients, which Mr. Heffernan said represent a "solid portion of our portfolio," with architects and plumbers among the type of business it continues to help develop and grow. Mr. Schuette, of Coconut Grove Bank, said the cliff dive of financial markets hurts banks because all banks invest in securities, so if values are dropping, investments will hurt. "But until you sell it you don’t have a problem," he said. In these tough times, he said, the bank’s preference for triple-A rated securities and treasury securities rather than high-yield corporate bonds — these assume not only interest rate risk but credit risk — has helped. Mr. Schuette and Mr. Heffernan of TotalBank agree that banks must operate with caution and be attentive to what’s happening in the financial market daily. "We know we are not immune from risk so we are moving vigilantly to what’s going on with the market," Mr. Schuette said. Coconut Grove Bank has accumulated $663 million in assets with $384 million in loan issuance. He said the market’s volatility has deterred some depositors from shopping for rates. They are more concerned with finding a safe place for their savings rather than focusing on the principle’s return, he added. Mr. Schuette said the increasing presence of Spanish, Canadian and other foreign banks that have purchased Miami-based banks in recent years doesn’t worry him because it allows his bank to stand out. Not having the oversight of an international owner allows more flexibility because such banks have to follow standards and any decision requires the approval of their overseas owner, he said. TotalBank, Coconut Grove and U.S. Century banks are, like other community banks, are holding frequent board of directors meetings to review portfolios, discuss the status of financials and keep tabs on what’s happening at a national and international level. "We are being proactive in our approach to what’s happening rather than sitting back," said Octavio Hernandez, vice chairman, president and CEO of U.S. Century Bank. He agrees many of South Florida’s community banks have been spared the turmoil affecting large financial institutions, which he said are at fault for using bad lending practices. But the community is feeling the impact of the economic slowdown along with the real estate bust, he said. "South Florida has always depended on real estate development, and as this sector has come to an almost complete halt, it affects the builders, painters, carpenters and landscapers, a large portion of the community." In response to the real estate storm — which he said the bank saw coming early on — U.S. Century began diversifying its portfolio. 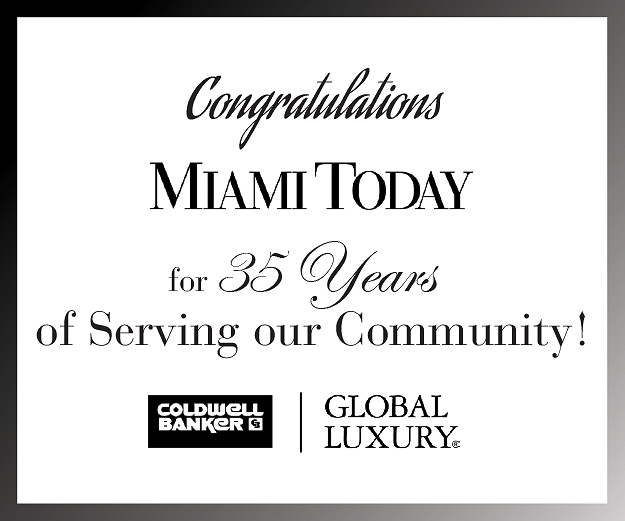 For example, the Doral-based bank has been participating in correspondent banking, lending to banks in Central America, South America and the Caribbean, he said. Correspondent banking is a relationship between a domestic bank and a foreign bank where the local institution provides deposits, lending and other services to the foreign institution. Despite the market hurtles, the bank is beefing up its consumer network and has hopes for growth this year. It plans to open two more branches by year’s end to total 22 branches in South Florida. 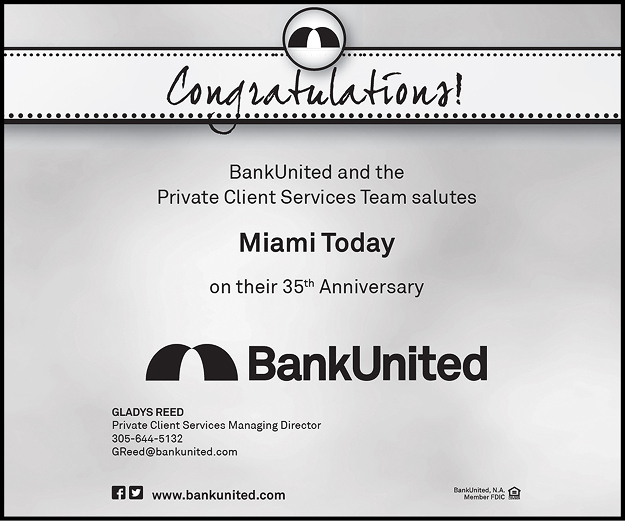 Established in 2002, U.S. Century Bank is one of the 10 largest community banks headquartered in Miami, with assets of $1.7 billion, $1.3 billion in loans and $1.4 billion in deposits as of last month. But unlike other community banks, Mr. Hernandez plans to begin issuing more mortgage loans now that property values have had a realistic adjustment and competition has lessened. But the bank will do so the old-fashioned way, he said, offering loans to quality borrowers willing to put up a 20% down payment. He said another concern is that financial fear is discouraging many consumers from spending and he hopes the federal bailout plan helps restore confidence in consumers. Mr. Schuette of Coconut Grove Bank agrees it’s clear that the impact felt by bigger national banks and the failure of the mortgage giants’ loan portfolios has adversely affected the working class. With an increase in layoffs and less money circulating, this means the economy could start to crumble, he said. "People need to be conservative," he said. "But we are watching things very closely. Just (use) caution and don’t panic."